Ahead of the Call of Duty: Modern Warfare 3 release date on November 8th developer Activision has unveiled the price for the Call of Duty: Modern Warfare 3 Hardened Edition. Set to land at $99.99 (£61.78) in the US, the Hardened Edition of Call of Duty: Modern Warfare 3 will see the standard game land with unique disc art alongside a selection of other additional and exclusive content. With a number of retailer listings suggesting the Call of Duty: Modern Warfare 3 Hardened Edition price prior to announcement, Activision has confirmed the deluxe edition of the game will come boxed with a one year membership to the new Call of Duty Elite online service. A limited edition 'field journal' with more than 100 pages of 'authentic military sketches, diagrams and written entries' will also come within the SteelBook case that includes an exclusive Animated Timeline Them for PSN users and a Special Ops Juggernaut Xbox Live Outfit for those on the 360. 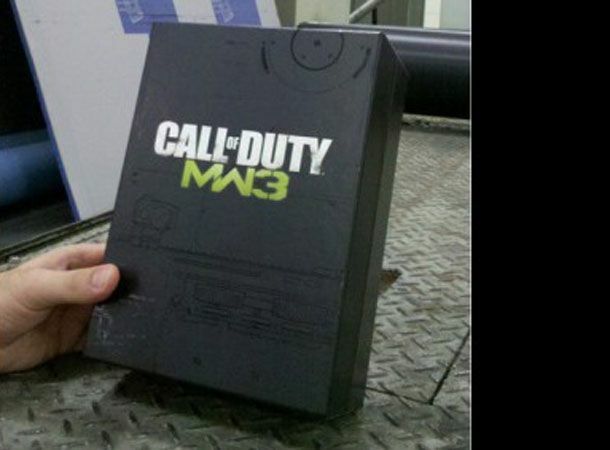 Activision has yet to confirm a UK price for the Call of Duty: Modern Warfare 3 Hardened Edition. Do the added goodies have you tempted to splash the cash for the Hardened Edition of COD: MW3 or are you happy to snap up the standard release. Let us know via the T3 Twitter and Facebook feeds.